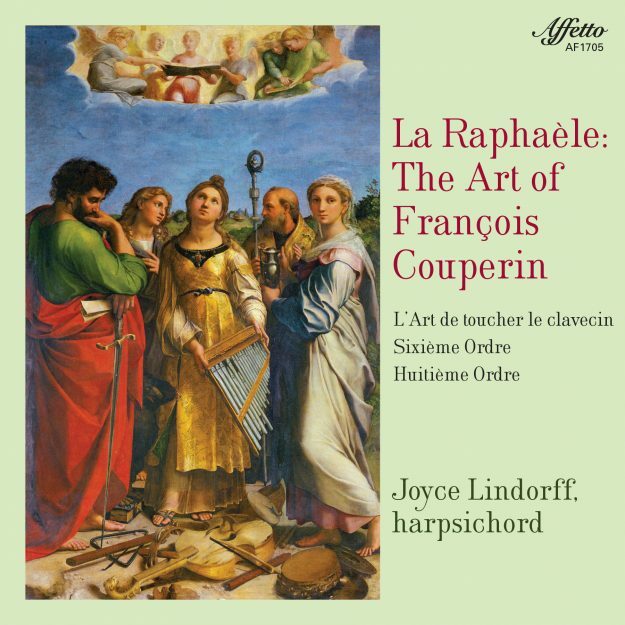 La Raphaèle: The Art of François Couperin pays homage to this Italian master long venerated by the Parisian Académie Royale de Peinture et de Sculpture. This reverence also rang true of François Couperin as musical creator, who was clearly struck by Raphael’s art, and so named the first movement of his Huitième Ordre’s majestic opening allemande after the artist. World-renowned harpsichordist Joyce Lindorff recreates Couperin’s L’Art de Toucher le Clavecin, Sixième Ordre, and Huitième Ordre with exquisite musicianship honed over four decades of researching and studying the styles and methods of the most famous keyboard composers of the 17th through 18th centuries. The essay in the booklet accompanying this album provides the listener with essential knowledge of both the composer and the selections in creating a full experience of this magnificent music.